Capacity: 1hp to 3 hp. Our clients can avail from us a wide range of zxj-380 pillow filling machine, which is manufactured and supplied by us. These are manufactured using a high-quality raw material, which is extensively used in industries. 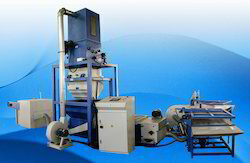 We are offering Fiber Pillow Filling Machine. 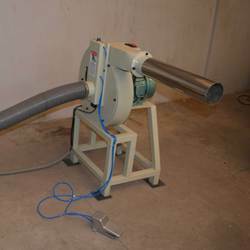 We have carved a niche amongst the most dominant names in this domain, involved in providing superior quality range of Roller Carding Pillow Filling Machine. In order to keep pace with the never ending demands of customers, we are involved into offering wide range of Polyester Pillow Filling Machine. One hopper feeder width 30 inches, skipped lattices with fly box, basket controlled with photo cell. One carding section capacity 100 kg to 150 kg per hour with 2000 rpm per minutes, depending on fibbers. One pillow filling complete unit with two blower with dynamic balances controlled with pneumatic cylinder and panel box.